I’ve never been one to recommend without having used it for while. Enough evaluation time has passed and I’m now ready to extol the virtues of my recent purchases. 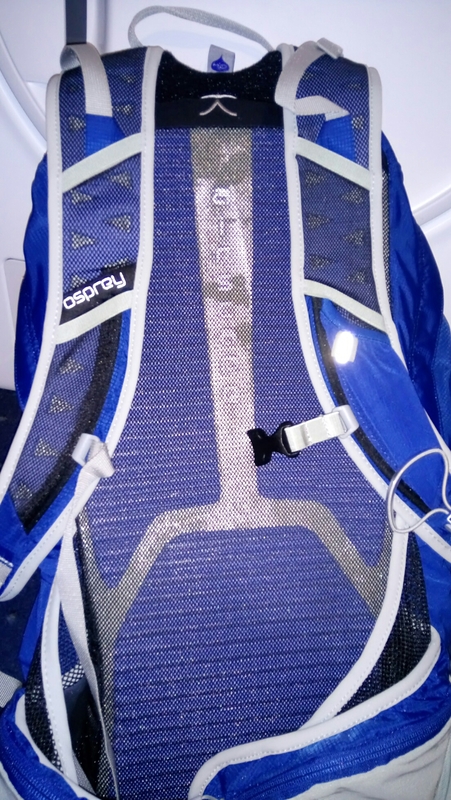 It’s still more sweaty than not having it on your back. 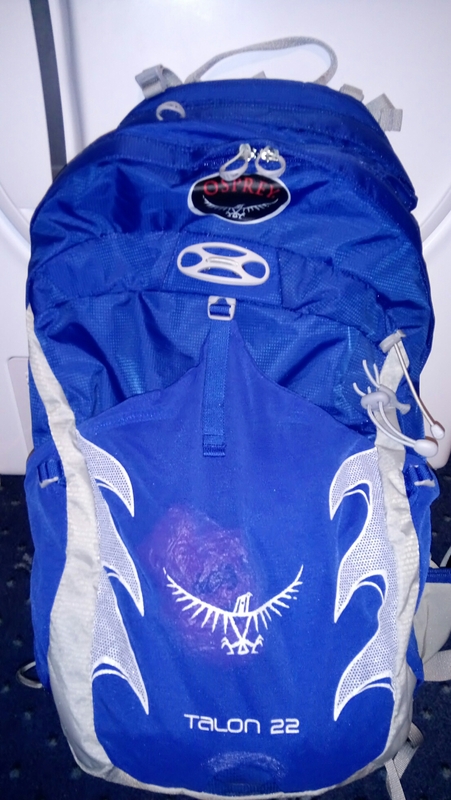 But I’m going to stick with it because it’s more convenient (and the blue matches bluebell nicely LOL). 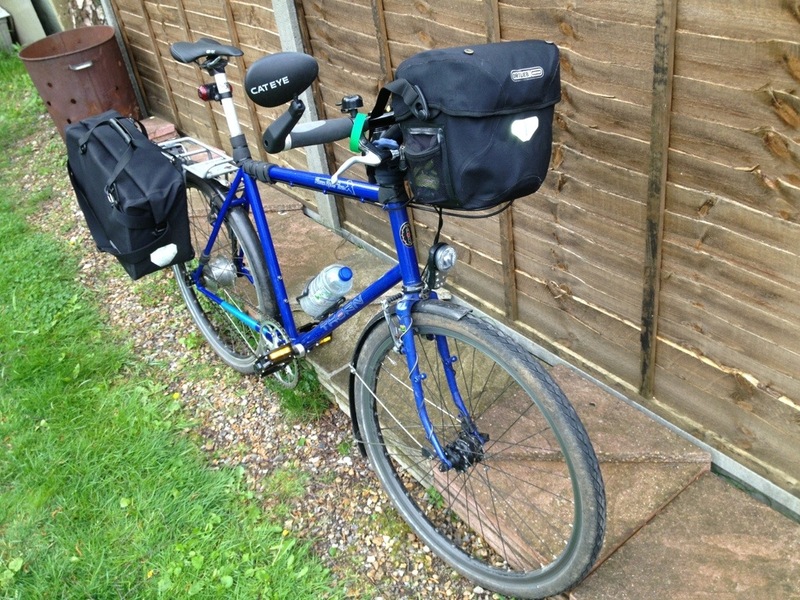 The overall weight is slightly less because I don’t need a rack either now. It is also nicer to not have the weight on the back wheel and the rattling around the contents used to get, so the bike moves over bumps better. I’m happy with the bag and my new setup. Now, onto my favourite subject, commuting lights. See my last post for an introduction http://wp.me/p1Tdgj-11j. Don’t ever be fooled by beam patterns, heat maps or photos, the only way of knowing how good something is is to get your hands on one and try it on a wet road. The packaging (and website) show impressive patterns, which never match reality. The 20 extra lux on paper doesn’t do it justice, it’s a great light, even on my old and low powered supernova S dynamo hub, it far exceeds the output of the IXON IQ Premium, however I will keep using both because I like to be prepared at the least favourable time of year. The IQ-X is a nice looking light too. 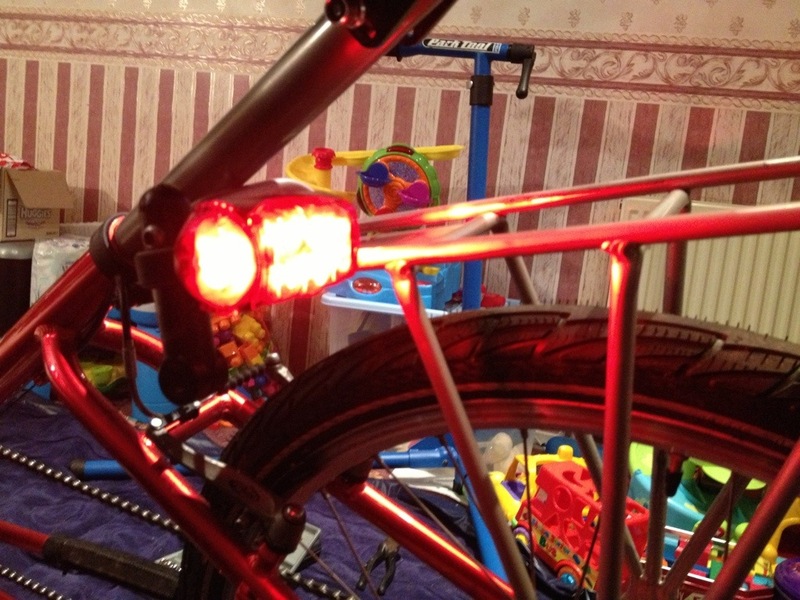 Anyone wanting to get a dynamo light should definitely consider this light. 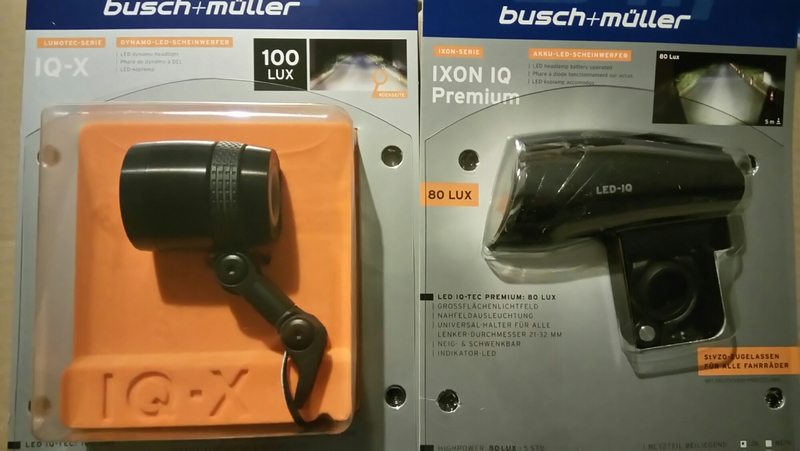 I consider both of these Busch + Müller lights affordable and reasonably priced, even when the Pound is weak against the Euro. So there’s no excuse for not treating yourself when your existing lighting isn’t up to scratch. In the UK we’ve just lost British Summer Time daylight saving and my gosh did I notice the loss of daylight, that hour really did change my commute home. 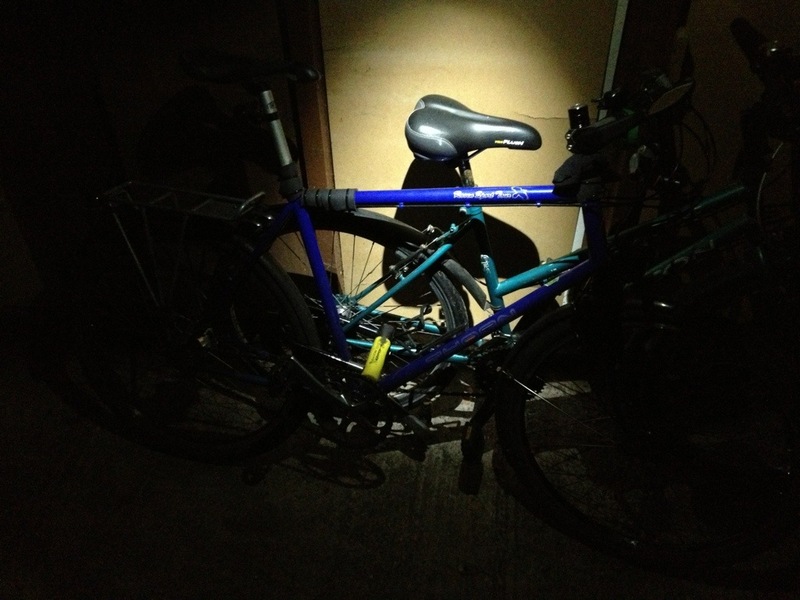 I love riding in the dark provided I’ve got adequate lighting, but my main light is no longer good enough and my spare is just about usable, so it was time to replace them. Most of the lights I looked at were massively expensive, powerful and put more light on the sky than on the road. 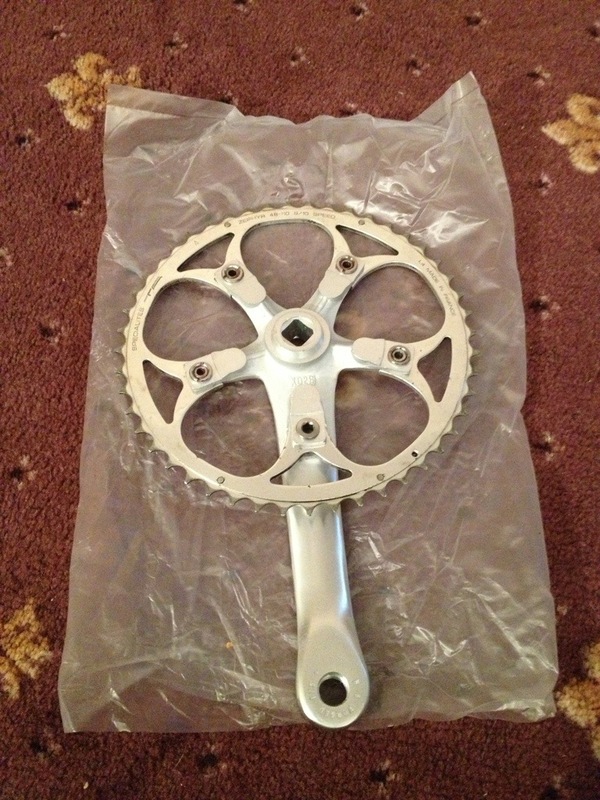 In September 2012 I bought a hub dynamo and a Busch & Müller Lumotec IQ Fly RT front light from bike24.com. 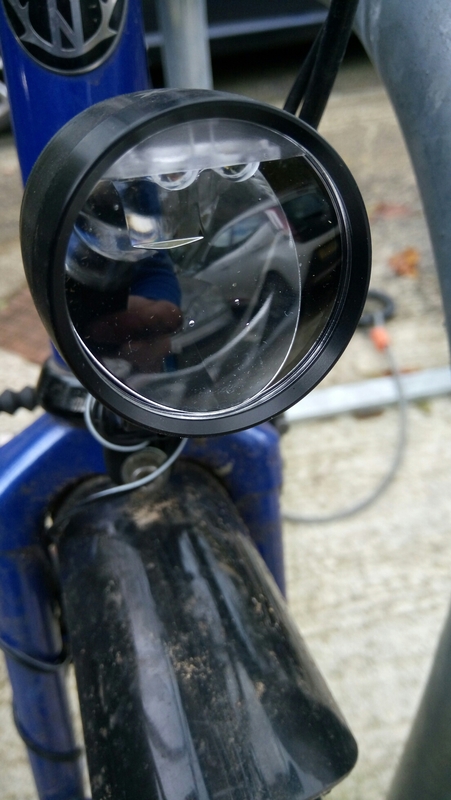 I like the light, it’s courteous to other road users and efficiently puts light on the road while still making me very visible, so I wanted something similar but with a bit more power. Fortunately Busch & Müller now have a more powerful dynamo light and a very good battery light that don’t break the bank, even with the awful pound to euro exchange rate. Fingers crossed they both arrive safely and work as well as I hope they do, it’d be nice to have something that lasts another 4 years without any issues, the cheap lights on Amazon etc won’t that’s for sure. The weather has also become cold too, it’s only the start of November and I’m already in my winter jacket and gloves! Lastly, firstly, pedal reflectors are a legal requirement in the UK, other than that, I think they are worthwhile, they can’t do any harm. 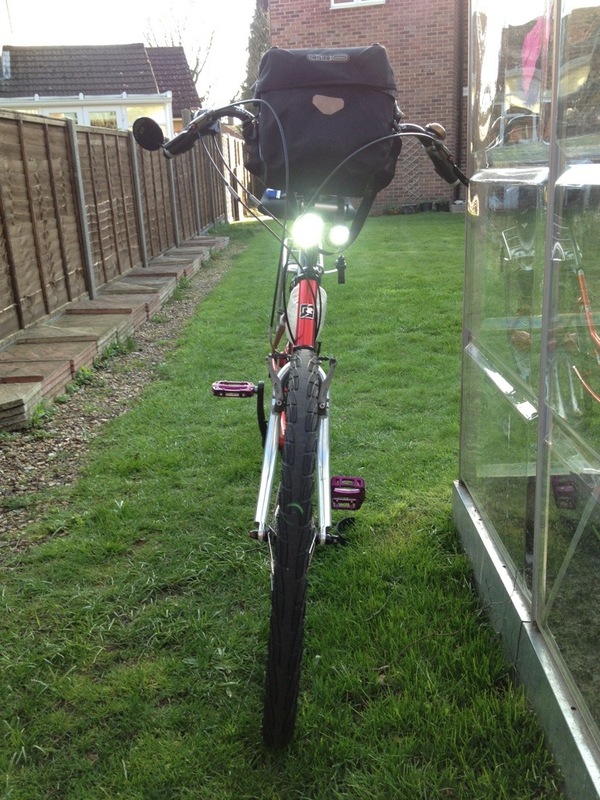 Don’t be fooled though, reflectors give people false hope, get decent lights, spend a lot of money on them and be safe. Pedal reflectors won’t help when the vehicle’s windows are misted up or it’s a rainy day. Only bright lights will penetrate that. 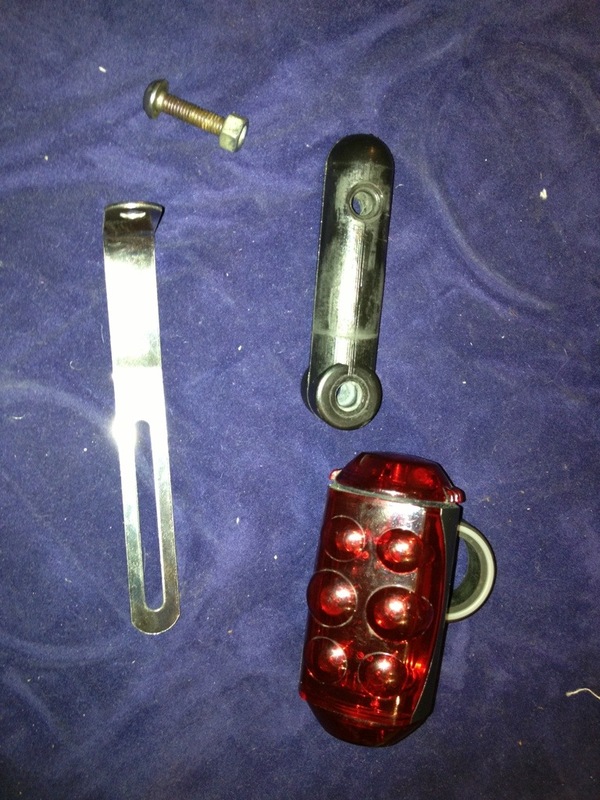 But anyway… I was down to my last one, they keep breaking, falling off etc. So I bought some new bolt on ones, let’s see how long they last. 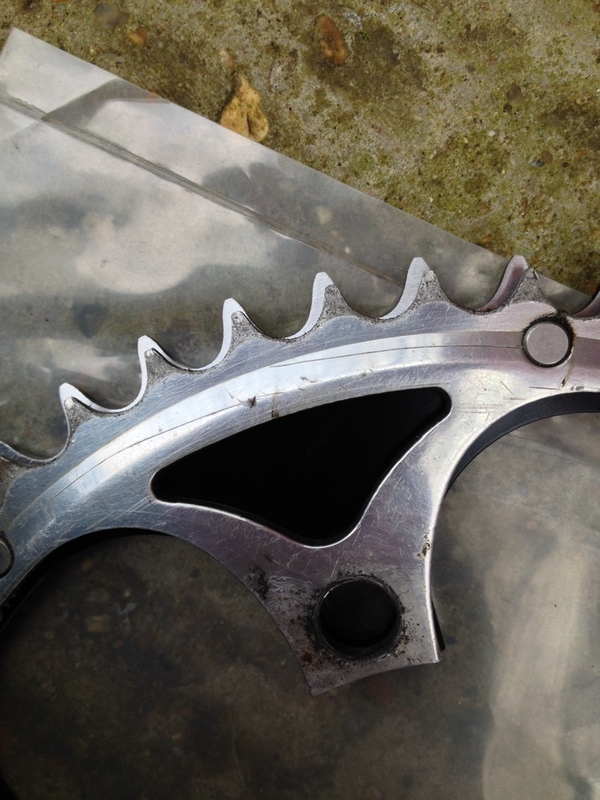 Also, note the black oil marks are on alternate teeth, bonus points if you can guess why this is? Wow, cycling trivia, almost. 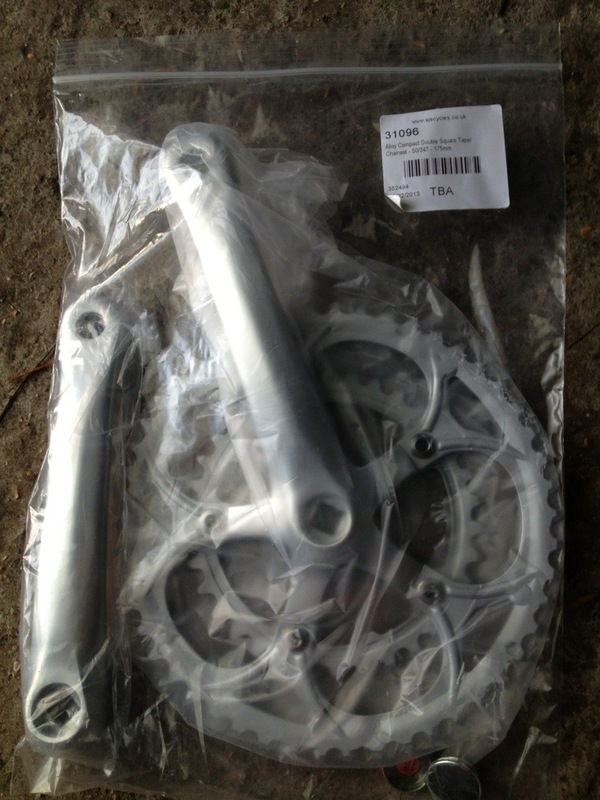 The crankset was recommended as the current replacement by SJS. 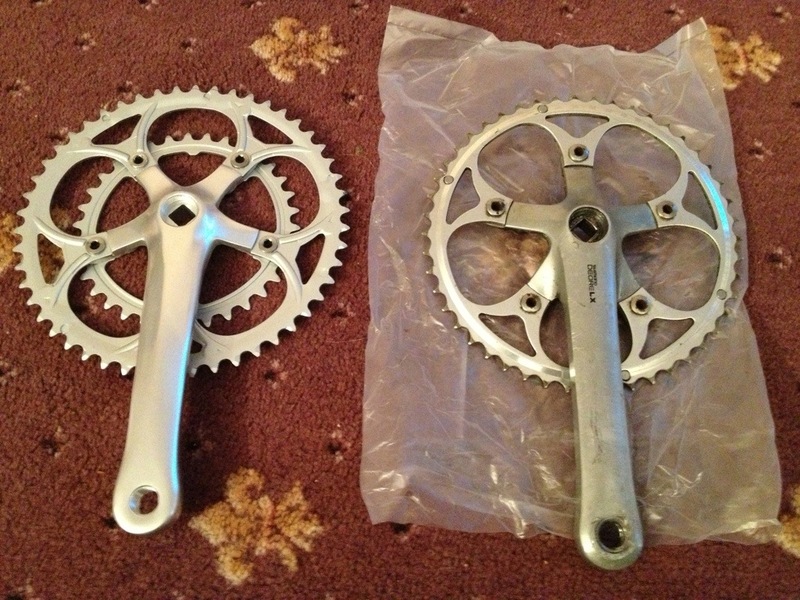 Replacing the chainrings with the single chainring I already had on the old crankset. 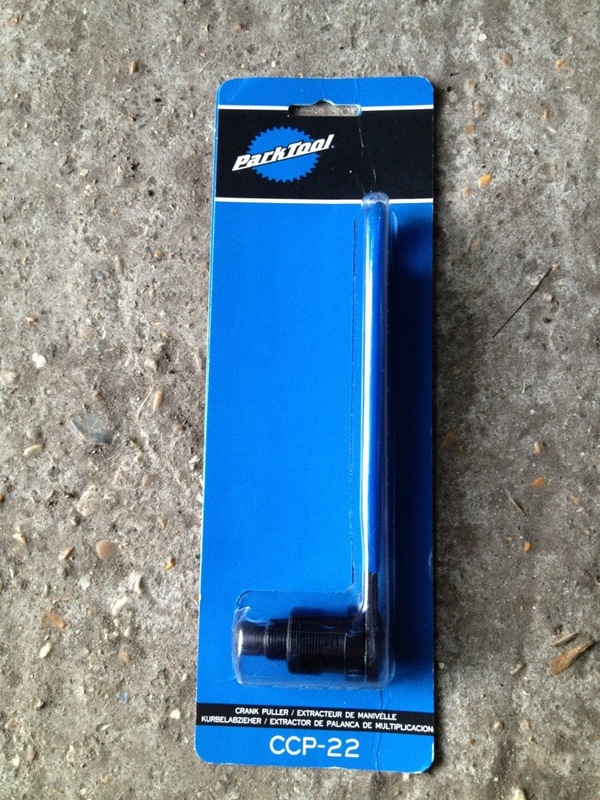 The crank puller seems OK, though I don’t rate it above my last one, maybe equal to it. Anyway it worked twice which is all I needed. Important is to always remember to grease both threads and the tip of it, since the tip will be grinding against metal. It’s also worth noting that I grease the bottom bracket axle before putting the new crank on, grease the crank bolt and give it a good tighten if you want it to remain in place. Greasing the axle is meant to decrease the corrosion that can happen between the steel axle and the alloy crank. 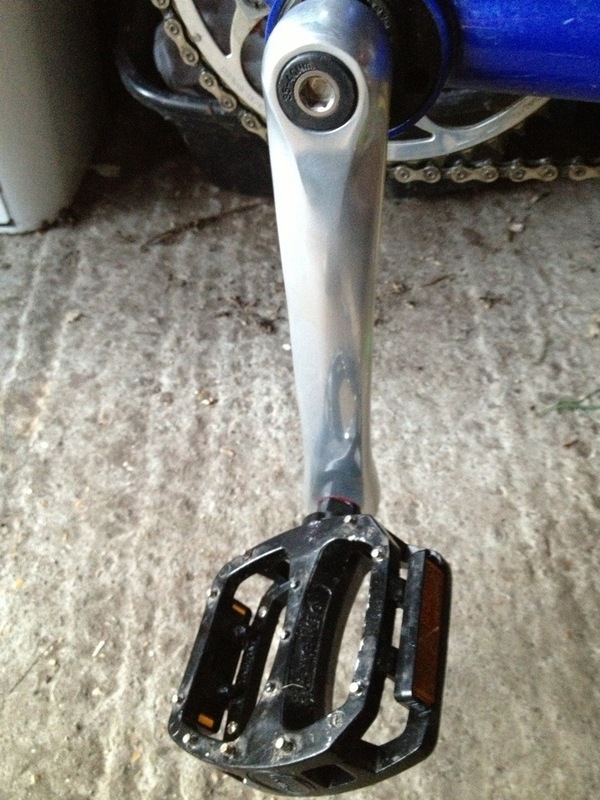 Similarly greasing pedal threads is a must, which i forgot last time, hence the beginning of the problems I had. There are those that disagree which bits to grease, I sometimes change my mind, but I’ve had more problems by not greasing than by greasing. 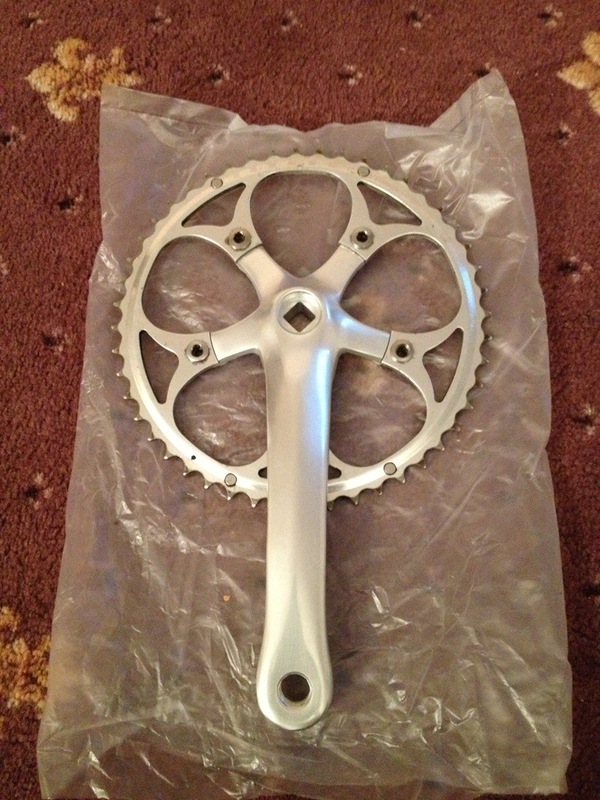 The hawk eyed reader will note that my chainring is not reversible and is getting on in age (miles), when the teeth are like razor blades I’ll swap it, a derailleur setup would need this replacing already, my chain is 1% worn according to my chain wear indicator, I’ll replace that at nearer 2% probably, again derailleur owners would need to replace now. I just stick it in the middle, angle the nose up a tiny fraction and that’s fine. Maybe I’ll fiddle with it in future, but I tend not to notice much difference. 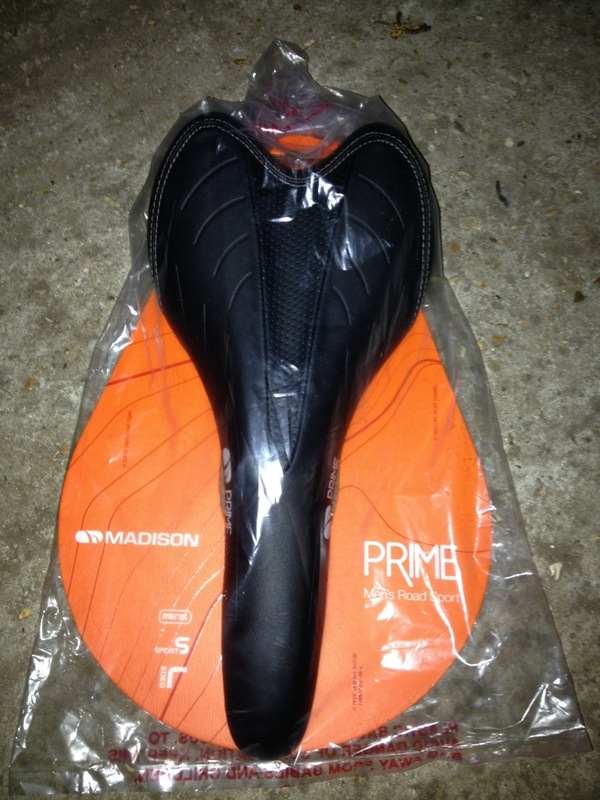 It’s definitely harder than my last saddle, but doesn’t seem to bother me yet as my cycling distances are tiny now I work closer to home and have a baby that takes up my cycling time. What a lovely steel machine she is. 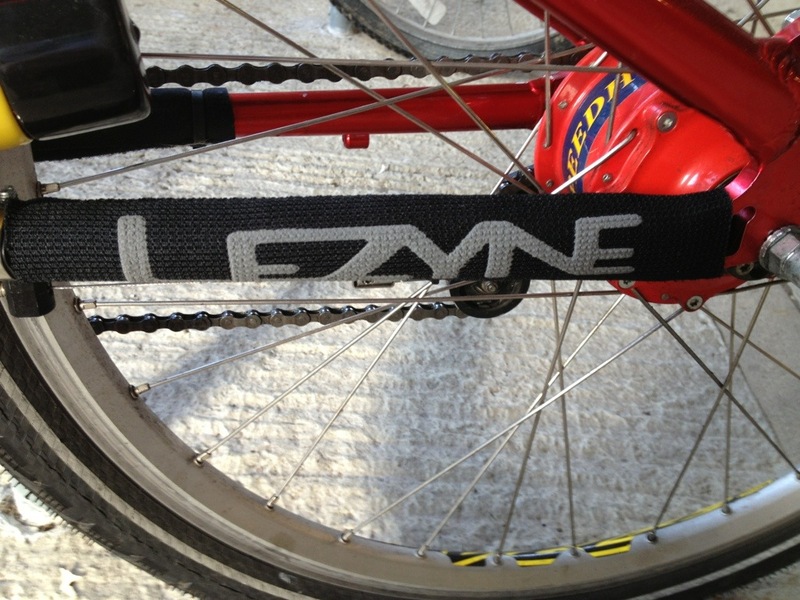 It’s a Lezyne Chain Stay Protector, choosing the size was a guess, I chose small and it’s a perfect snug fit. Normally you wouldn’t have the cables running this way, but the step through frame leaves not much other option. 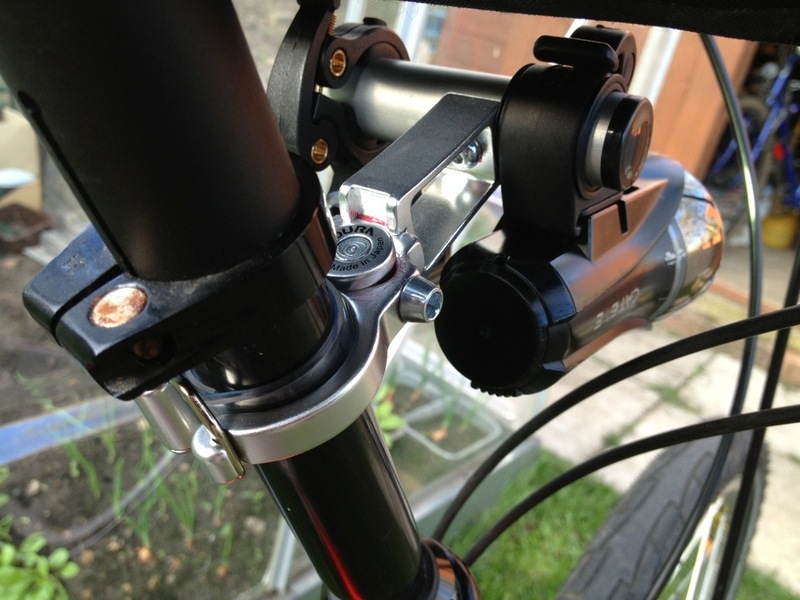 Next was a new light / accessory bar / handlebar extension, the Minoura Space Grip is vastly improved. The model is SGL-300 in Medium. It’s plenty long enough for my needs. It appears nice and strong, but only the miles will tell. 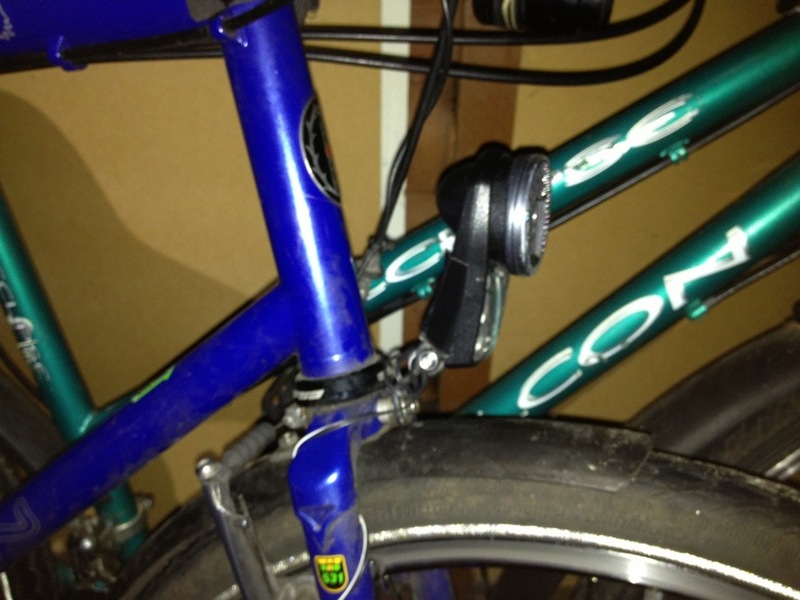 Other than actually being able to adjust it without taking it apart (anyone who owns or has owned the previous model will know what I mean), I like the quick release feature. 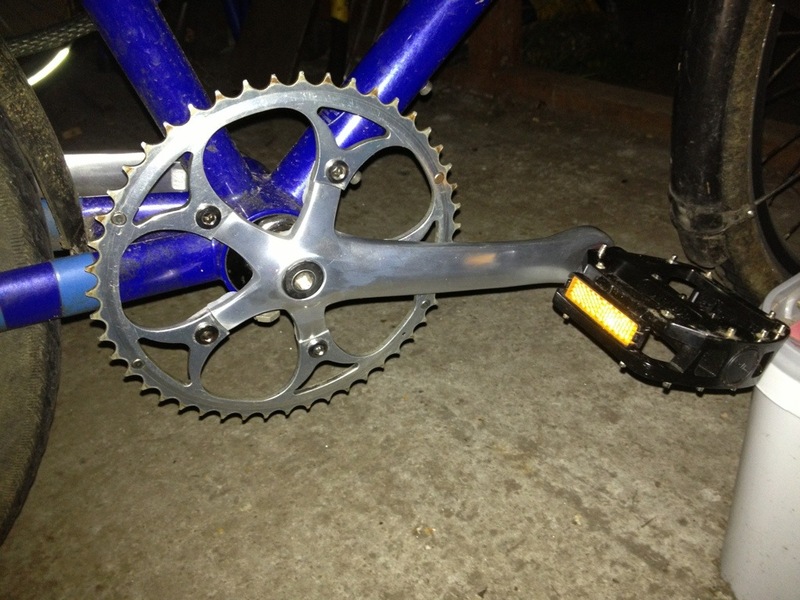 Mounting this way puts the lights in front rather than behind the steerer, another annoying feature of crank forwards is the angle of the steerer. Though this is a bit hard to imagine without seeing it. 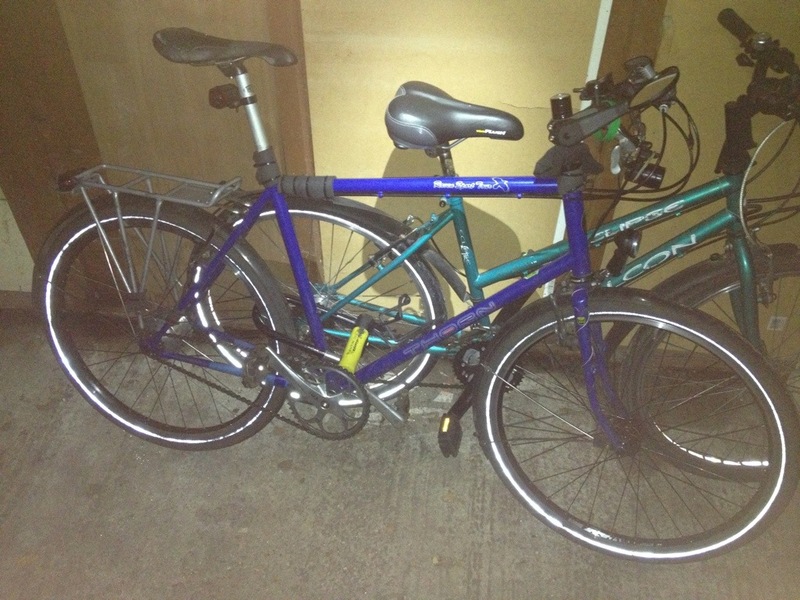 Having no visible seat post to mount a second rear light caused some head scratching. The rack has a light mounted on it, but I wanted another. 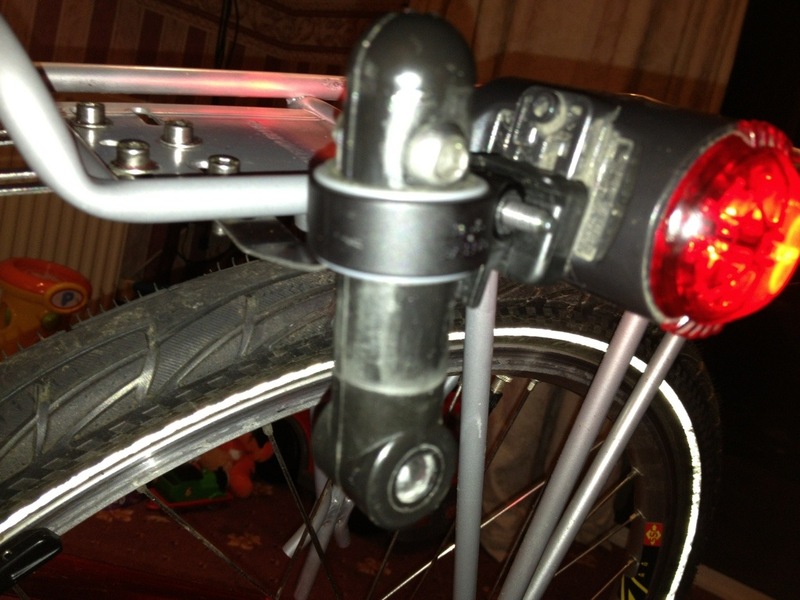 A spare rack part, a bolt, an old Burley connector (plastic pipe and a drill would be an alternative) and a standard light bracket. The rack part (struggling to think what they are called) is bolted with two bolts to the rack, preventing it from moving in any direction. 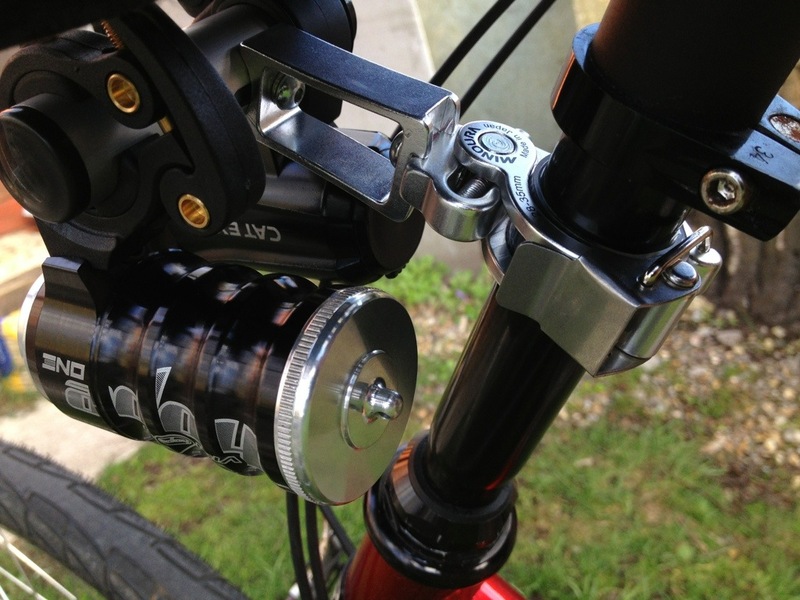 The Burley connector is bolted to the rack part which also has the light bracket holding it from moving. 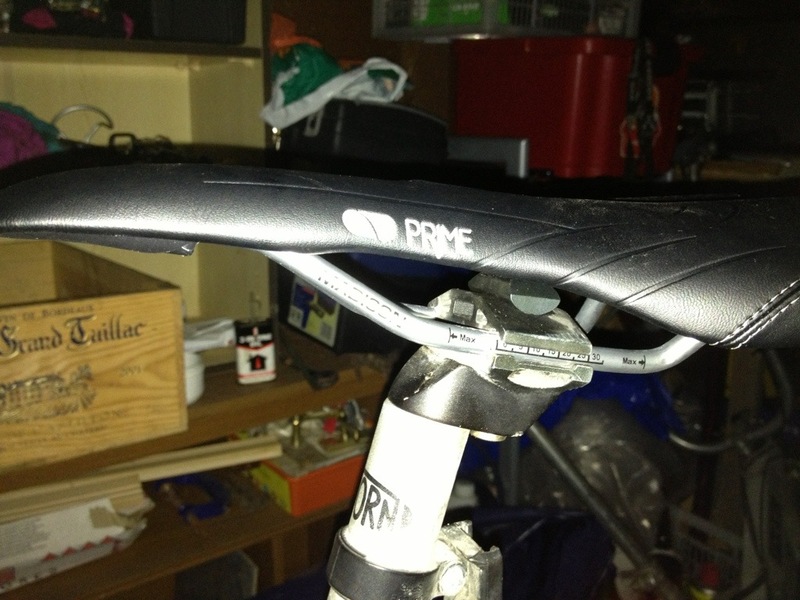 It vibrates a little, so a more stiff joining piece of metal would be better (the rack part). The Burley connector could be cut down an inch too. Busch + Müller Lumotec IQ Fly RT Senso Plus LED Front Light with DRL 174QRTSNDI. 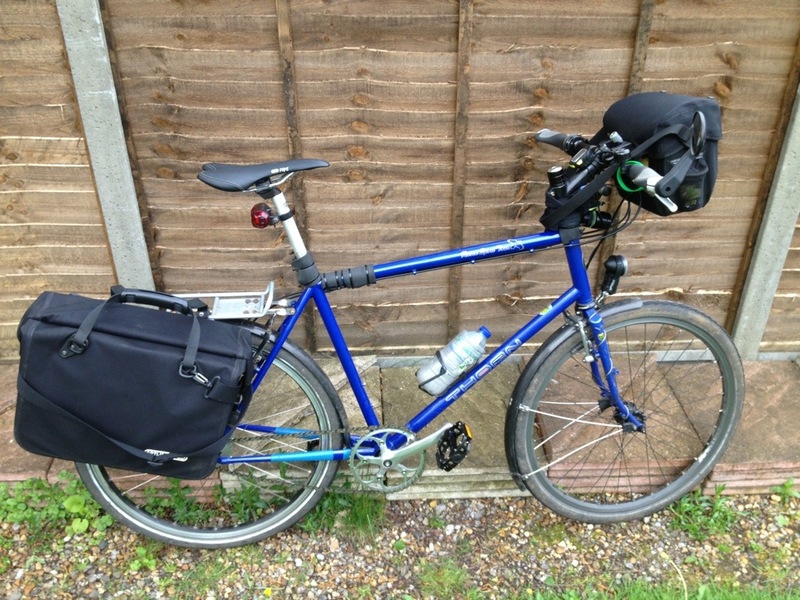 I am very pleased to be back on Bluebell as the Nexus bike is plain awful, though it did OK as a replacement, so I shouldn’t knock it too much. In summary, I’m happy with everything but I did want a bit more output from the Busch & Müller Lumotec IQ Fly RT Senso Plus. 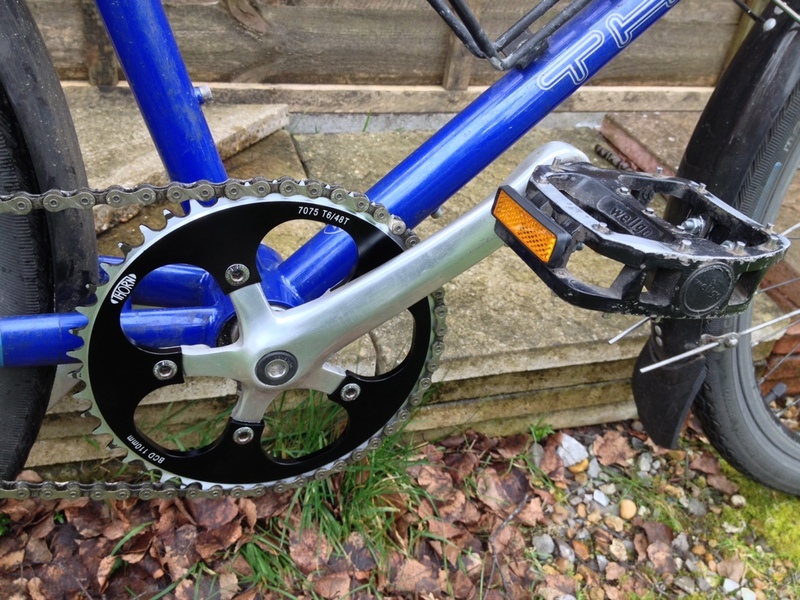 It is really nice is having a sharp rear brake, before it had to be fairly loose otherwise the wonky rear wheel would rub. 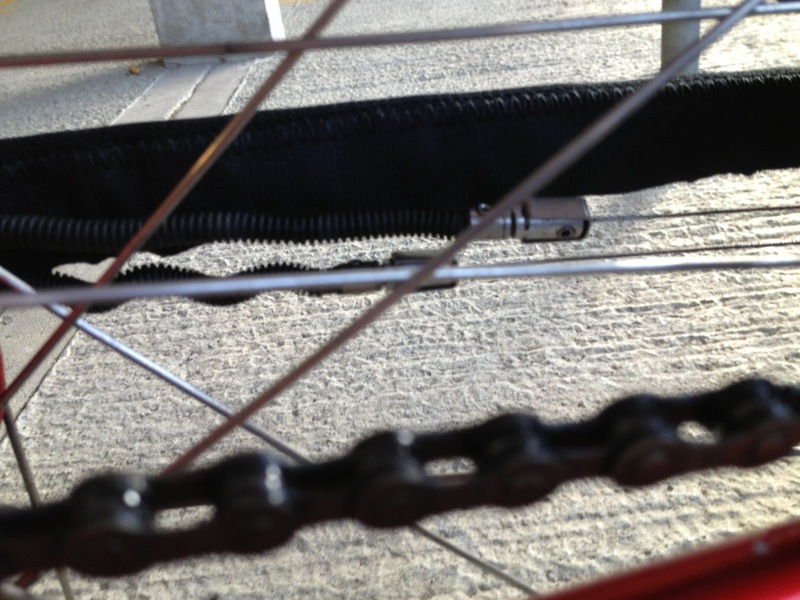 The front hub was like a clunky piece of crap in my hands, but when clamped into the forks the rotation is smoother, not completely smooth, there is noticeable resistance, but only when spining it on the maintenance stand, on the road I don’t notice a thing. 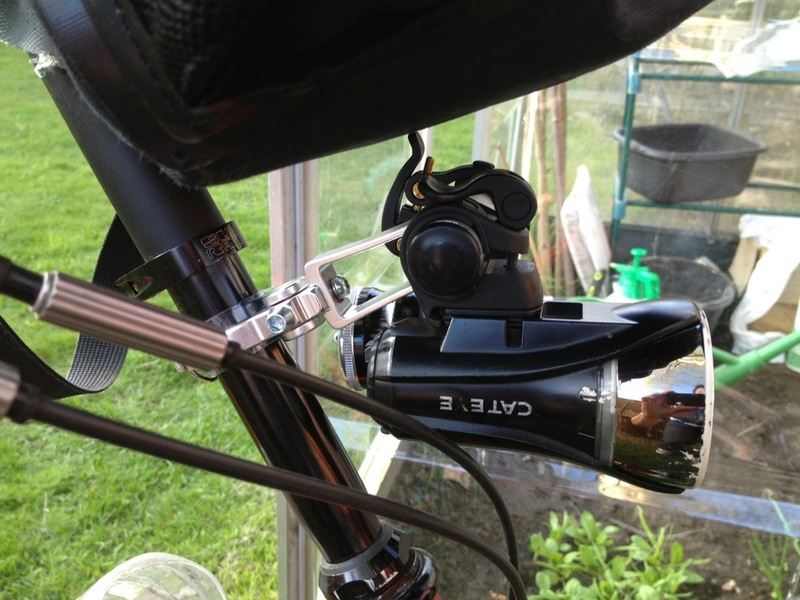 There are three positions on the Fly RT, so you can dip it down when you need more light closer to the bike e.g. bad weather. I really like this feature. The standlight on the Fly RT is the two bottom DRL (Daylight Running Light) LEDs, not that bright, but they last long enough to give confidence and enough light to unlock the side gate and shed. 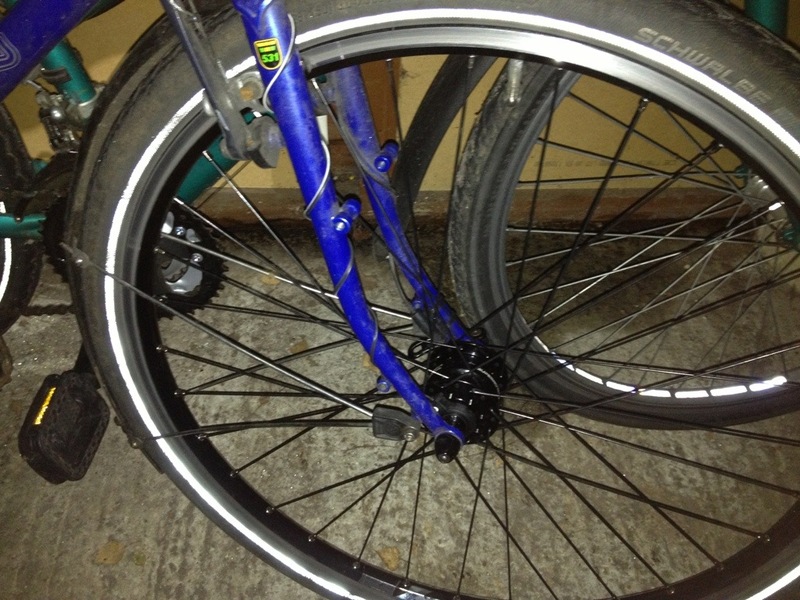 A spoke in my old (good) front wheel went ping as it just sat there in my lounge, I assume the spoke had sheared and was holing on by a hairs breadth, bringing it in the warm and changing tensions by deflating and removing the tyre must have pushed it over the edge. The Fly RT isn’t very impressive, or maybe my Airbike is just more impressive, I was left underwhelmed. 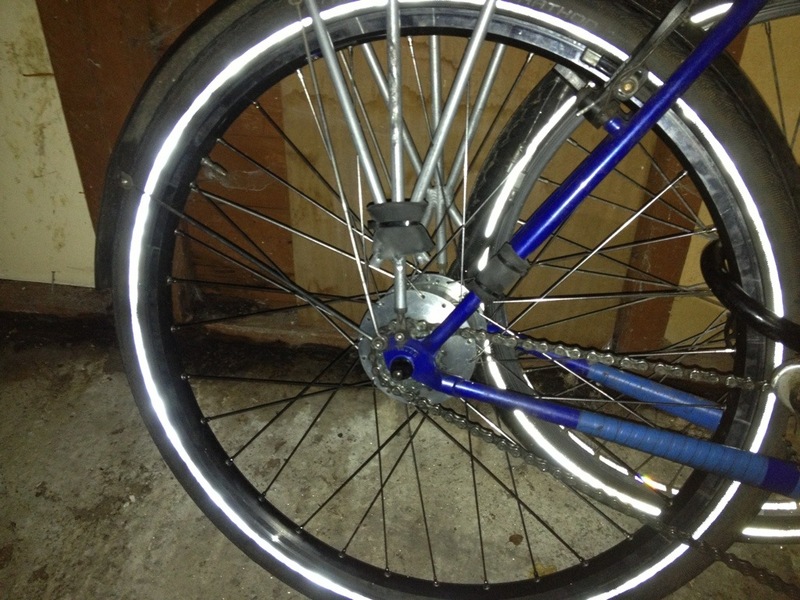 I’m sure it’ll be adequate for my needs as that extra spread the Airbike gives is wasted light anyway. The Fly RT was a bit of a fiddle to fit because the bottom of the Orbit XL II headset on my Thorn Raven Sport Tour got in the way. S – Senso – Automatic, same as T in daylight or night mode in poor light. Night mode is two DRL LEDs and the main beam on full. I couldn’t see much difference between S and T at night so I probably won’t use the S mode as the DRL add a tiny bit of extra side lighting that I want (even more of).